Israeli government Arabic spokesman Ofir Gendelman offered this cheeky response to snub by Hamas spiritual head Sheikh Hassan Yousef. 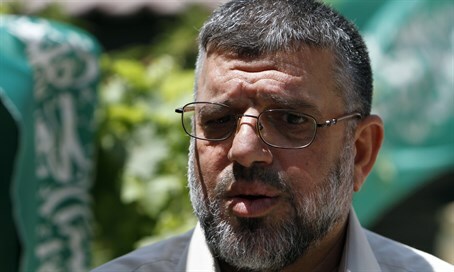 One of the founding members of the Hamas terrorist movement, Sheikh Hassan Yousef, stormed off angrily mid-interview after finding out one of his co-panelists was an Israeli government spokesman. Upon hearing the Israeli government's official Arabic spokesman Ofir Gendelman respond to a question on Al Jazeera, Yousef fumed that he was not willing to take part as "it is not fitting for a man like me to talk with a deceitful liar." "I am sorry that I won't be able to finish the conversation with this criminal," he fired, before promptly walking off. Gendelman remained unfazed throughout the rant, however, after which he took a jab at the senior Hamas official, whose son, Mousab Hassan Yousef, famously worked as a spy for Israeli security services. For years, Mousab Yousef infiltrated the Islamist terrorist group on behalf of the Shin Bet internal security service, preventing countless terrorist attacks, before moving to America and converting to Christianity. His autobiography, Son of Hamas, revealed details of his missions, as well as the brutal nature of Hamas - much to his family's dismay, who disowned him. "What a shame," grinned Gendelman, "I hoped to take the opportunity to send regards to his son Mousab, who worked for the benefit of the Shin Bet (internal security service) and saved, with courage and humanity, the lives of hundreds of Israelis and Palestinians."